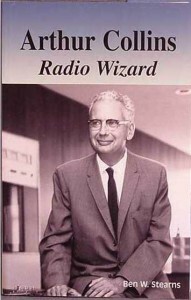 Here are some of the Collins Radio books that have been published that write about the history of famous Radio Company and it’s founder Arthur Collins. 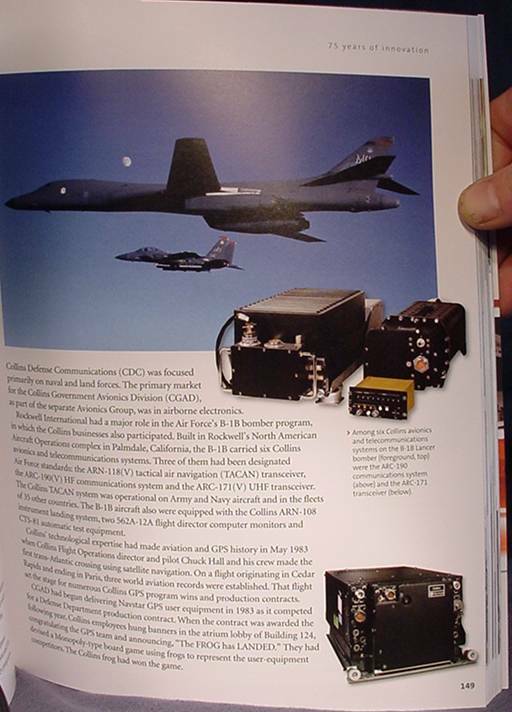 If you are aware of other Collins Radio Books that are not shown here, please let us know, provide a cover shot of the book and we would be glad to add them. 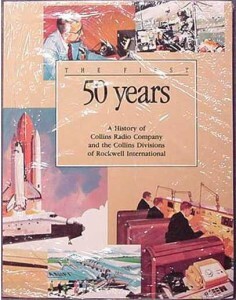 1983-The First 50 Years: A History of Collins Radio Company and the Collins Division of Rockwell International. 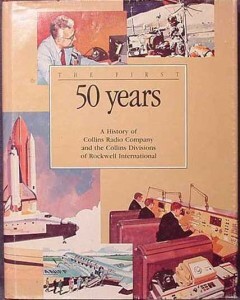 This Hard cover book was published By Rockwell International in 1983 to commemorate the 50th anniversary of the Collins Radio Company. 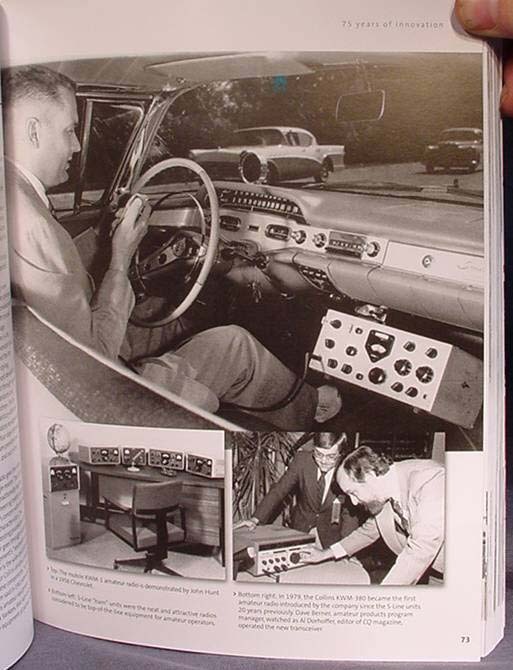 It provides a nice coverage of the Companies history, though from a corporate level. Arthur Collins (founder) did not approve of this book because it presented information from Rockwell International’s point of view. He also refused to attend the 50th anniversary event for the same reason. 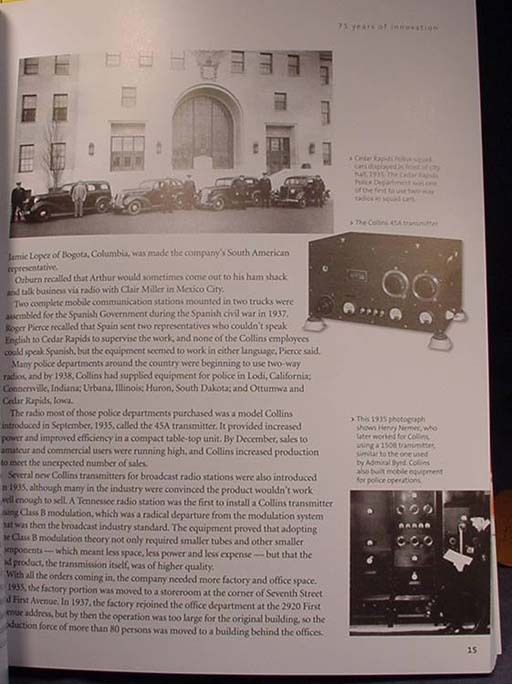 1993-The First 50 Years: A History of Collins Radio Company and the Collins Division of Rockwell International. 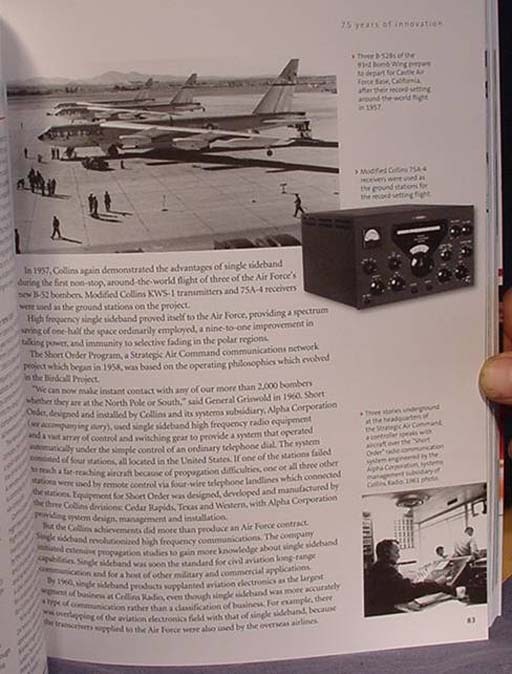 This soft cover book was published By Rockwell International in 1993 to commemorate the 60th anniversary of the Collins Radio Company. 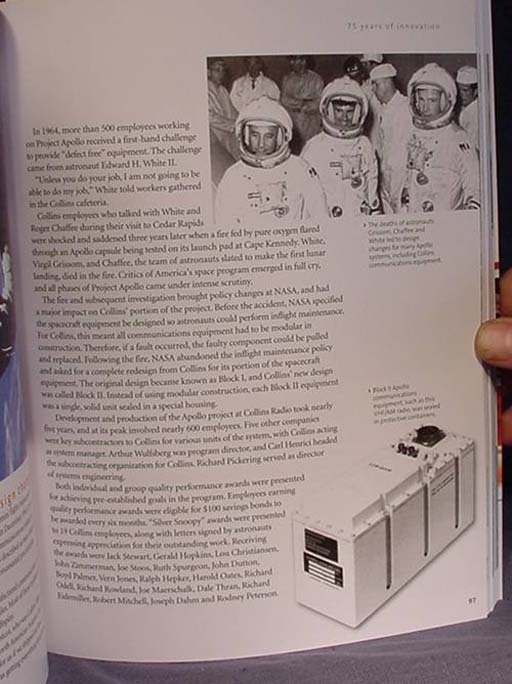 It was a reprint of the 1983 volume in softcover format. 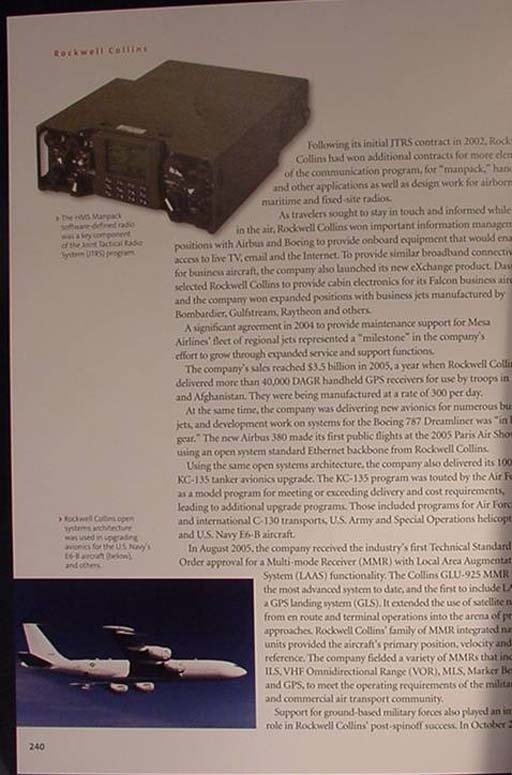 Published in 1998 during the Collins 65th anniversary year by the Collins Division of Rockwell International. How to speak Avionics-ese*: An exhaustive compendium of acronyms, terms and definitions common to Aircraft and support equipment. This soft cover format book was self published by Ben Stearns in 2001. Ben had a journalist background and worked closely with Arthur Collins in the years prior to the Rockwell International takeover. 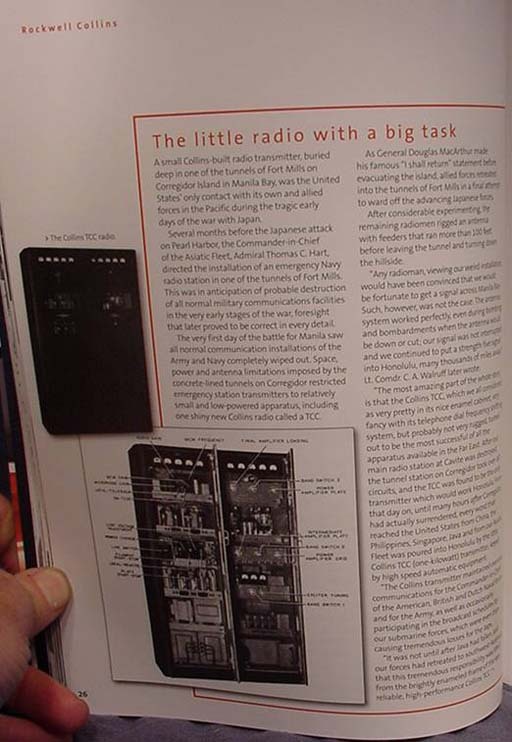 It contains a combined history of Collins Radio Company, and a biography of Arthur Collins, because you really couldn’t separate the two. Arthur Collins was Collins Radio Company, he directed the innovation, hired the engineers, got the contracts and pretty much everything else. This book is very different the the two ‘corporate’ books that have been published, because it tells the story as it was, not doctored to make a huge Corporation look good. Full of interesting stories and amazing details. Remember, Arthur Collins was on the top of his technology game from 1926 when he published his first tech article, to producing radios for our space program. Side note, we sell this book here click on the book image for more details, or to purchase. 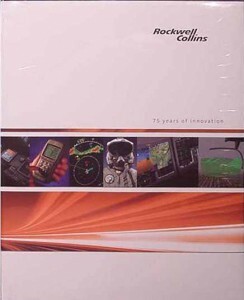 Published in 2008 to commemorate it’s 75th anniversary by the now independent company Rockwell Collins. 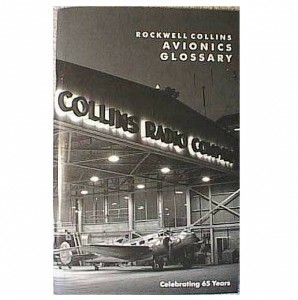 This book covers what Collins Radio (Rockwell International, Collins Division), and now Rockwell Collins has done between 1933 and 2008. It was available in a deluxe boxed hardcover, hard cover and soft cover versions.